Diabetes, is a disease which the body’s ability to produce or respond to the hormone insulin is impaired, resulting in abnormal metabolism or carbohydrates and elevated levels of glucose in the blood. It is estimated that 422 million people around the globe have diabetes and these numbers are on the rise. This disease is responsible for 2.2 million deaths this year, which is why an increase in monitoring and treatment is needed. 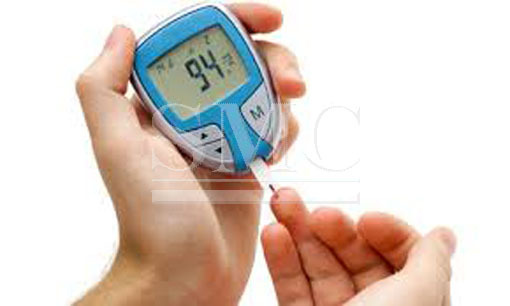 Current diabetes monitoring methods involve testing glucose levels in the blood. This process involves the pricking of the finger to draw a drop of blood, using a meter to determine the glucose levels, and the administration of insulin if needed. This process can be painful, inaccurate, and time consuming. That is why researches at the University of Texas have been testing a new glucose testing method. Researchers at the Dallas based institution have developed a wearable diagnostic bio-sensor that is capable of detecting three interconnected, diabetes related compounds in perspired sweat. These compounds are cortisol, glucose, and interluekin 6 and can be measured in microscopic amounts of sweat. The device can be used to monitor these compounds for up to a week without loss of signal integrity. This new technology also contains a transceiver to send data to an application installed on the patient’s phone. This data can then be recorded and tracked for months and even years at a time, allowing for a more accurate evaluation of data for both patients and medical professionals. With the application they are creating you can simply hit a button to access the information from the monitor. The frequency in measurements will produce an unprecedented picture as to how each individual’s body responds to dietary decisions, lifestyle activities, and treatments. Dr. Shalini Prasad, professor of bio-engineering in the Erik Jonsson School of Engineering and Computer Science talks about the goals the research team had in the development of this technology stating, "We wanted to make a product more useful than something disposable after a single use". This means that you are reducing the amount of supplies used yearly from 365 to 50. Dr. Prasad has designed this device to be as cost effective as possible, ensuring this technology can be utilized by as many people as possible. She said, "Our cost of manufacturing will be comparable to what it currently takes to make single-use glucose test strips -- as little as 10 to 15 cents. It needs to reach people beyond America and Europe -- and even within first-world nations, we see the link between diabetes and wealth. It can't simply be a small percentage of people who can afford this." She hopes to license this technology and have their first products hit the market within the next year, improving the lives of millions of diabetes sufferers around the globe and potentially saving lives.